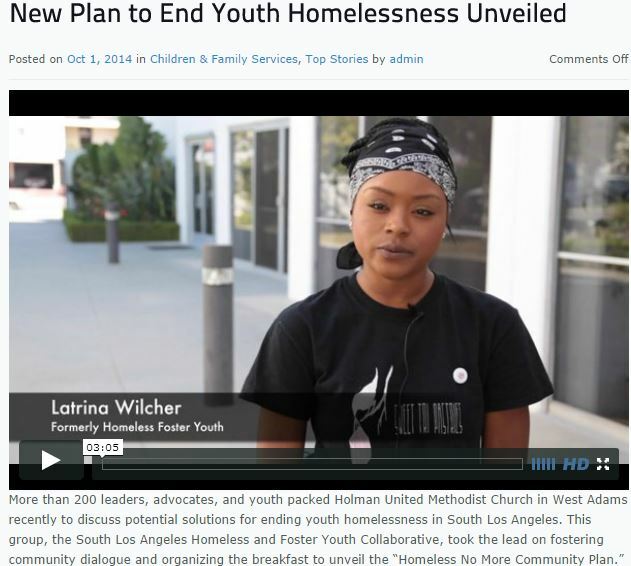 The housing programs are not crisis or emergency housing and often times have a waiting list. Please contact program locations for referral, intake procedure, and waiting list(s). Hope Refuge (South LA and South Bay) – Hope Refuge provides 4 independent living beds for youth, ages 18-24, up to 24 months or longer that provide youth with a private room and shared common space and support services. Rapid Rehousing (South LA and South Bay– Rapid Re-housing assist young adults and pregnant and young parenting families who are at-risk of or who are already experiencing homelessness to reintegrate in the community by helping them obtain or maintain safe, affordable housing and by linking them to mainstream, community-based services they need through short or medium-term rent subsidies to secure housing. 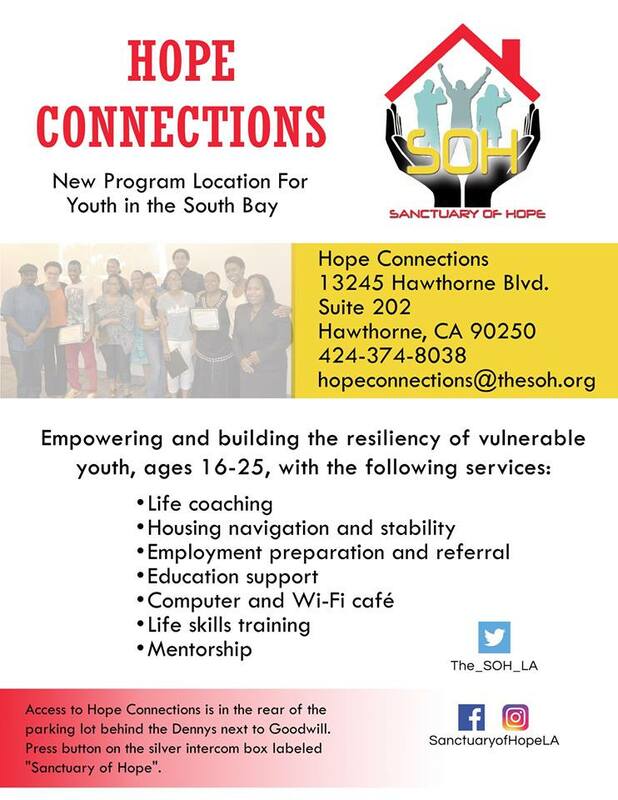 Hope Connections (South Bay) – Hope Connections provides housing navigation services and support linkages to youth and youth and young adults experiencing or at-risk of homelessness in the South Bay area of Los Angeles County. Additionally, Hope Connections offers 9 beds of transitional housing in scattered-site apartments for youth and young parenting families, ages 18-24, up to 24 months. Hope Link (South LA) – Hope Link provides 12 beds of short-term bridge housing up to 90 days for youth and young adults, ages 18 -24, waiting for a secured or verified housing destination such as transitional housing, AB 12 or Independent Living Program, apartment or dorm in South Los Angeles. Hope Link also provides 12 beds of transitional housing for homeless youth and young adults, ages 18-24, up to 24 months. 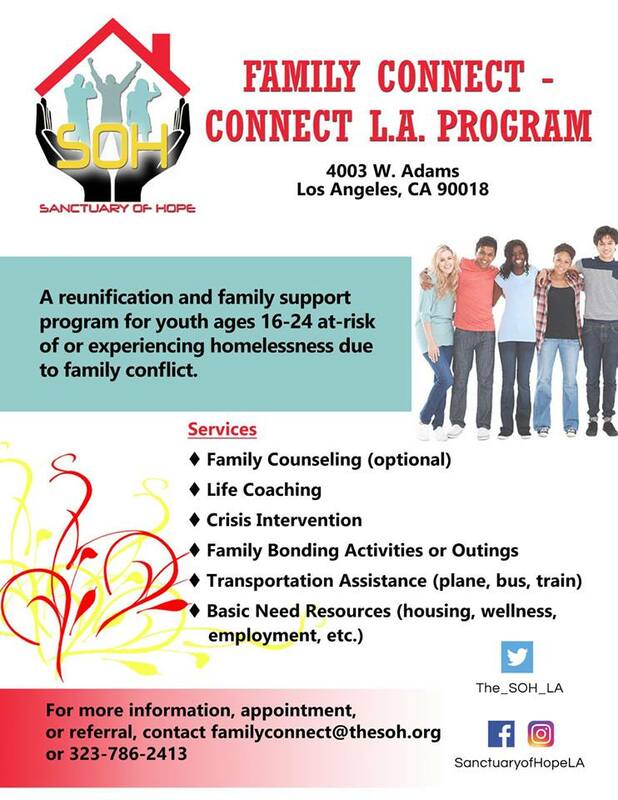 Family Connect (South LA) – Family Connect helps youth, ages 16-24,who left or ran away strained family or household situations reconnect with their families by strengthening the family unit through family therapy and conflict resolution.